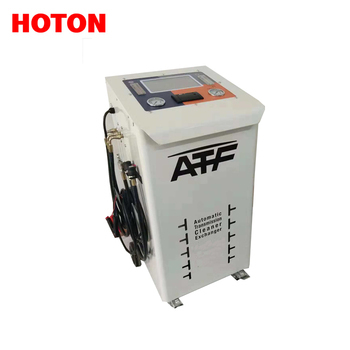 Use of flow meter measurement methods, make the equipment equivalent oil change precision higher , can achieve the error is not higher than 0.01 L, and the core part of the equipment is to use the combination of computerized and mechanical technology. To make it more stable. Automatic identification of in and out direction of the oil/intelligent conversion auto-transmission in and out direction of the oil.